Usually a fear of dentists covers those who in the past have experienced painful sensations during dental treatment. Maybe it was a complicated surgery, and maybe just a very advanced pulpitis. In the result, the mere thought that it is necessary to treat the teeth, enough that people started to worry and worry. Some may even experience panic and fear, accompanied by high blood pressure and tremors in the extremities. In most modern hospitals, even municipalities, patients are offered to do extra anesthesia. Doctor defining "failure" almost immediately can tell how painful the intervention. People can also experience confusion, due to the fact that they have not visited the dentist. Sometimes patients, during long time to avoid the dentist, just too shy to open his mouth - so deplorable was the condition of their teeth. And even acute pain, they are trying to suppress with the help of painkillers, can not get them to decide on a visit to the doctor. However, you must understand that to seek help from a doctor sooner or later anyway. Delaying this moment, the man only exacerbates their situation - because sometimes a tooth that could be saved in a month will have to be removed. Material investments need even more: to cure a small spot on the enamel is much easier and faster than the tooth, which began to disintegrate. 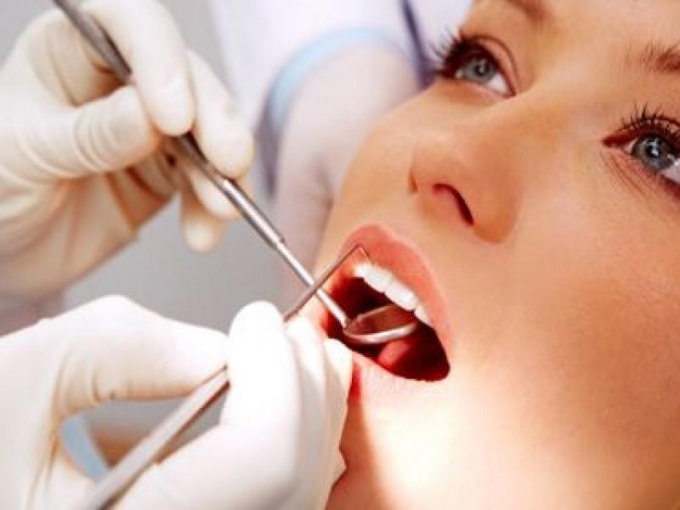 Those who are in need of dental treatment, but is afraid to do, for a start you just need to go for counselling. Convincing himself that forcibly and in the first minute no one will not be treated, patients will eventually have a chance to calm down and take himself in hand. It is also worth asking friends - even dentists recommend when choosing a clinic to rely on the opinion of real patients. Modern dental offices often happens that patients during medical manipulations even fall asleep - so seamless and painless is dentistry. Experts also recommend that the so-called premedication - even before the visit to the dentist, you can take 1-2 tablets of Valerian extract or motherwort. About half an hour necessary to re-medicate. You can also promise yourself a gift - for example, immediately after visiting the dentist the patient just to enjoy myself. This may be the long-desired book or disk for ladies - a new dress or something from cosmetics. After all, it is only important to make the first move, and after will be painlessly cured first tooth, the person will be able to reconsider their views on dental procedures, starting to walk to the hospital calmly and even with pleasure. Not be amiss to turn to friends or relatives - often loved ones can very effectively encourage, instill confidence, and even accompany to the clinic, and then together to share the joy of this feat. Also friends can give valuable advice concerning the choice of a particular doctor or procedure.